Double the suspense. One mystery. One thriller. An eclipse that will obscure the sun and expose the sins of four guilty men. When the sky grows dark, they will have come full circle. Every year, on the 17th of August, Tabitha Wilkins runs nine miles. Her chest aches, her head hurts, and blisters sprout on the bottoms of her feet, but she endures the pain. Four years ago, on August 17th, police found her sister’s broken body. Tabitha knows someday she’ll find the man who broke it. Looking into his eyes, she’ll make a choice—forgive him, or kill him. 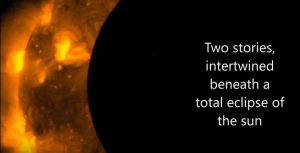 Two stories, intertwined beneath a total eclipse of the sun—a spectacle you won’t want to miss. 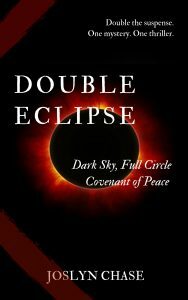 Get your copy of Double Eclipse today, for a double round of high suspense!